For those coming to this for the first time a link is included to the build thread - an entertaining and informative history of the challenge to date. Last edited by Little Andi. on Sun Feb 21, 2010 9:40 pm, edited 1 time in total. 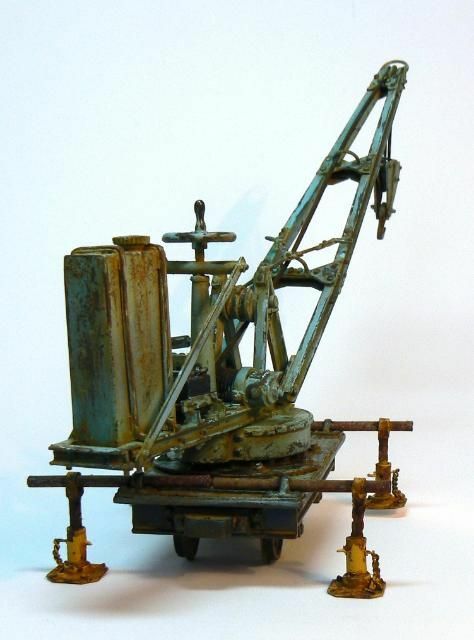 'Zoe' ( the crane ) by Adrian. 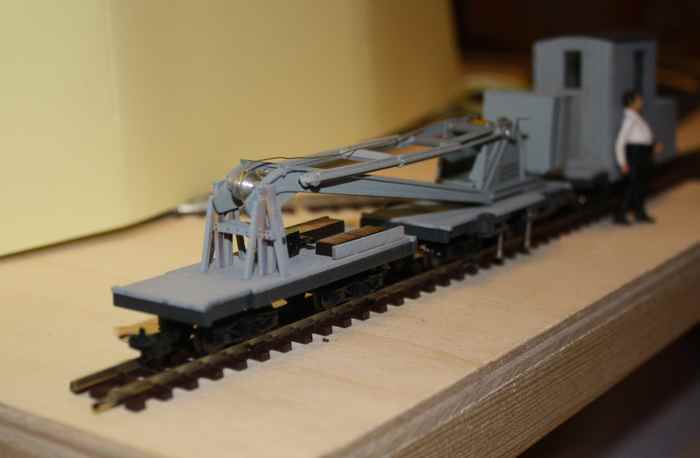 The Snowflake challenge came for me at just the right time.....I had alteady started on the chassis of a DCC controlled crane but I needed something to push me onwards (too many unfinished projects you know !). 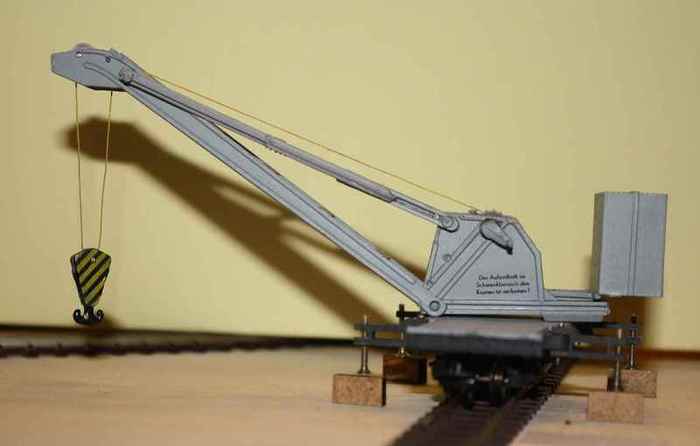 The crane itself is mainly styrene for the chassis and jib while the cab is of very thin ply. The wheels are from Walthers and the bearings are Slaters. The chain is also from Walthers. The mechanics went together reasonably well with not too many 'oopsicles' although I did have to modify the cab roof due to a slight oversite. 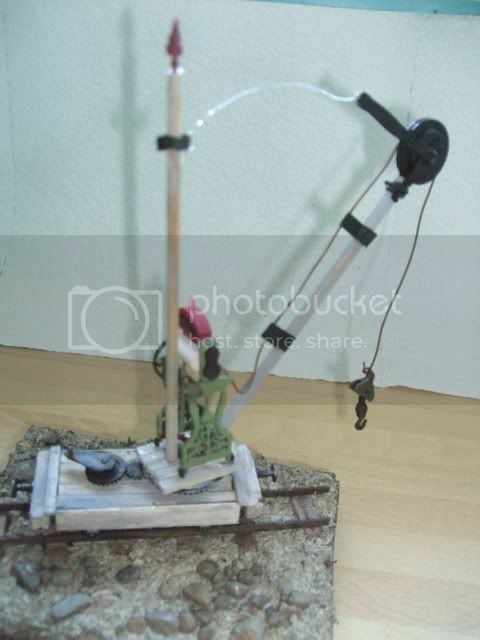 The motors together with their gearheads had it be purchased from Hong Kong and are very small. 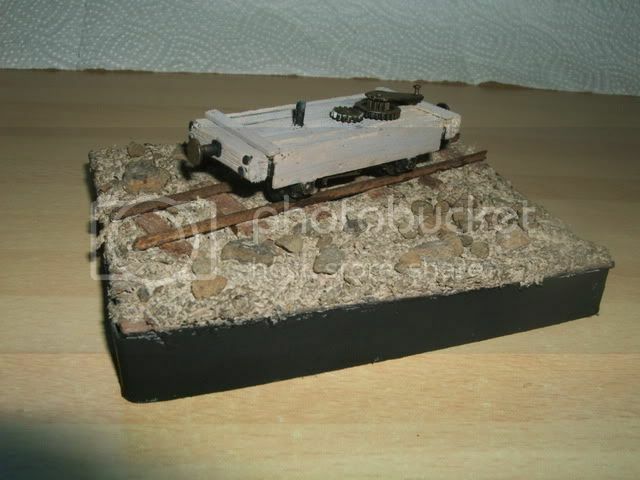 They are also 3 volts which is a problem as DCC decoders output 12 volts which would burn the little critters out ! As it happened the electronics turned out to be a lot simpler than I thought they might have been but the route from concept to fruition was not an easy path and it had many dead ends to lead a chap astray ! As it is I am still having problems with the slip rings and brushes and I am still 'tweeking' the CVs. Zoe with her jib lowered. Last edited by Adrian on Sat Feb 20, 2010 3:31 pm, edited 1 time in total. 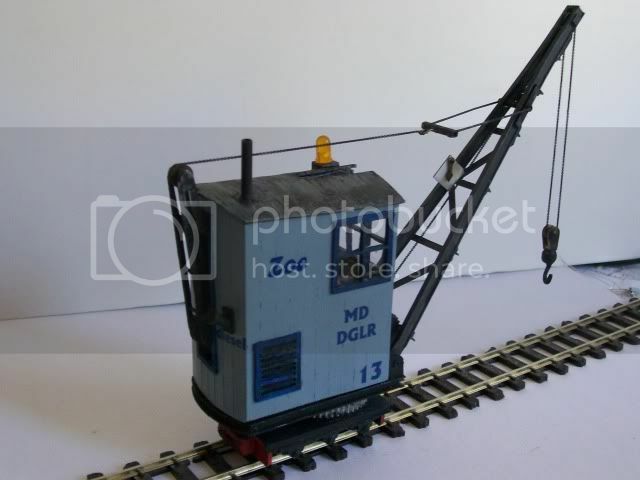 It's a small general purpose hand crane for my hypothetical estate railway, not based on any particular prototype but the result of looking at lots of pictures of cranes then doodling a rough sketch to get an idea of the overall appearance I was aiming for. Details of how it actually fits together were worked out during the build, it did need a bit of rejigging at times but more-or-less worked. With all the mechanical bits visible I had to model the workings so I decided to try to make it work and the ratchet, brake and winding mechanism do what they should do - a trial Jaffa Cake lift was succesfully completed - but it needs to be handled with a certain amout of care so "poseable" is probably a better word than "working". Construction is mainly plasticard and wire, with modified Lego gears and a few odds and ends from the bits box. There is room for a bit more detailing, particularly some indication of how the outriggers are moved and locked in place, and couplings will be added when I decide what type to use. My turn now................. There are lots of excuses of course but this is where I ended up with - AMS N°3. 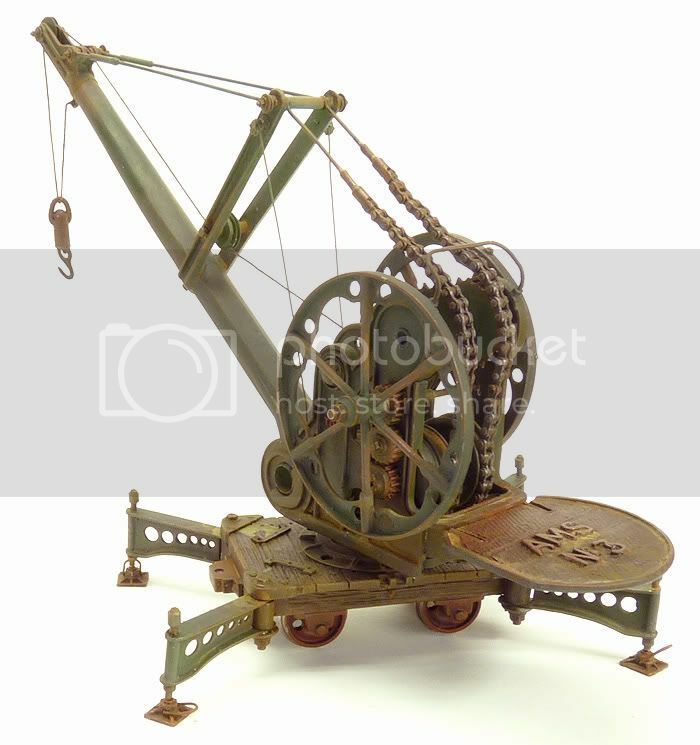 A mobile crane designed and built by a gifted amateur agricultural engineer for an estate railway - lot's of innovative if not confused thinking. 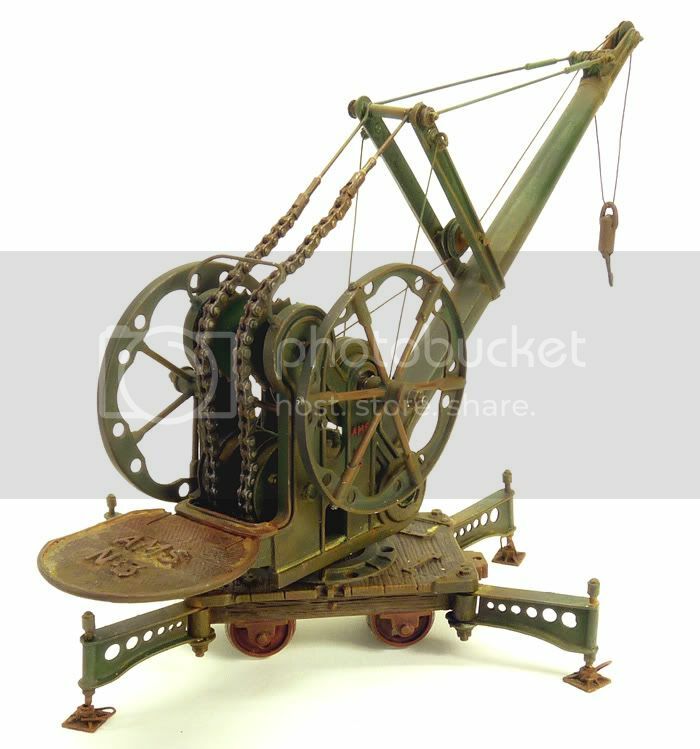 Counterweight is provided by the operative standing at rear - [folding to enable short coupling], epicyclic gears for efficiency and compactness, hollow cast jib for lightness? swing-out outriggers for ease and strength. 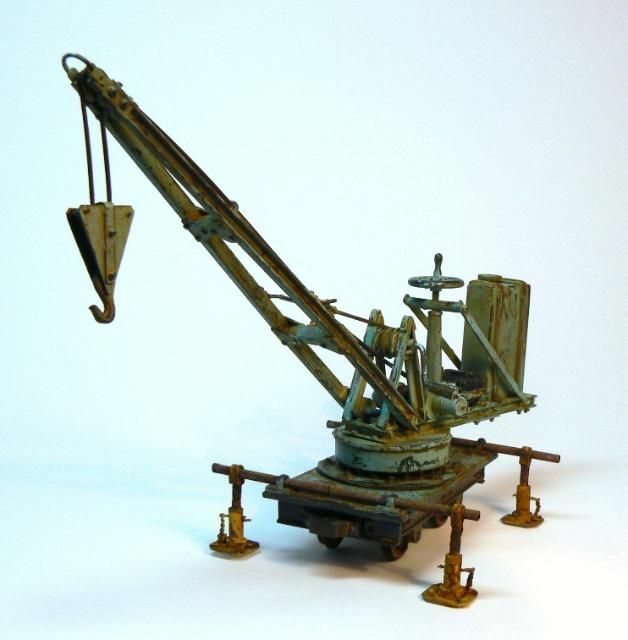 In Gn15 world Crane is made from Cast iron, Steel and bronze alloys. Phew.......... finally, I can relax!! !...............Thanks for looking. Well having wound Andi up to get him started on this, I had better post my version. I can't add a great story behind this, saw a couple of photos of cranes on another forum and that sort of inspired me to have a go at building one. (details of these photos, etc can be found on the origonal Snowflake Challenge thread) So mine is semi realistic in the sense that it pretty closely based on a real life prototype just tweaked for Gn15. Built on a modified Steve Bennett chassis, most of it is scratch built with bits & pieces of plasticard apart from one of Steve's brake column's and a Cambrian Models brake wheel. Finish is based on acrylic paint with the use of hairspray, gouache water colour paint and graphite to provide the wear & rust areas. That it, think its the first thing I have ever finished for a challenge & on time to! Built in 1908 for the Huia Tramline by Smith's Foundary, from standard parts used in their steam log haulers. 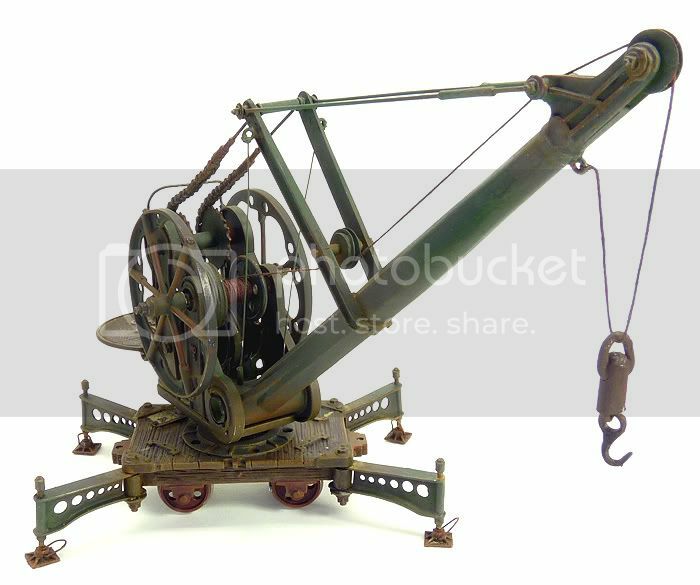 This crane is a scotch derrick: the vertical post rotates, pulled by ropes by hand. Bridge cranes, used to repair bridges, are long and skinny and are saved from toppling off by not needing to rotate very far. 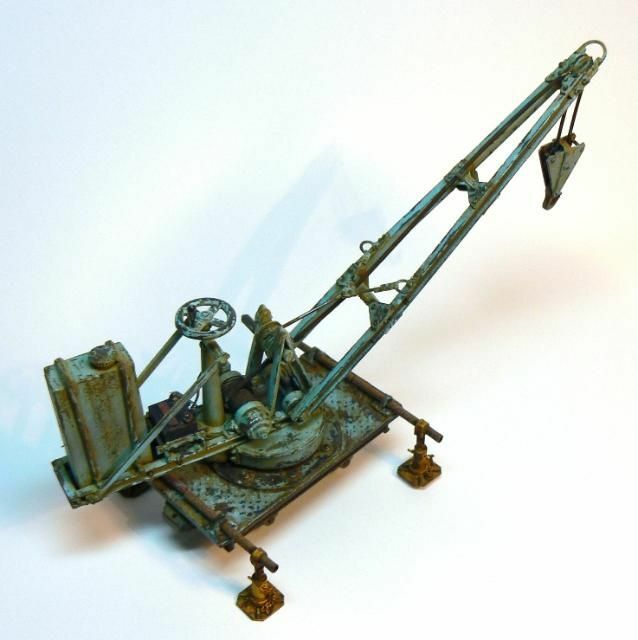 Log hauler winches have a two-cylinder steam engine. 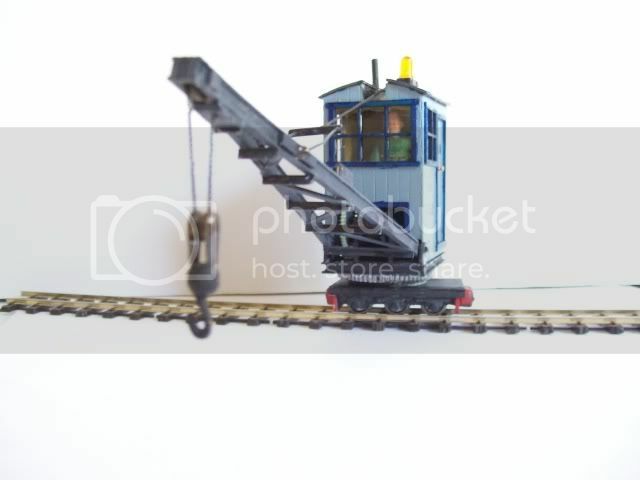 I reimagined the layout to have the driver behind the winch, and to have two winding drums side-by-side. Each drum has a dog clutch (with handle) and a brake (with foot pedal). The steam regulator is on the vertical pipe just in front of the boiler. A pair of swivelling 'Griffin Patent' steam pipes carry the steam to the cylinders; however their seals proved unreliable in service. The fireman is on the tender. He tosses slabs of wood from the firewood rack into the firebox and tops up the boiler from the water tank with the Danford hand pump. Having the firebox doors under the funnel is typical of a steam log hauler. 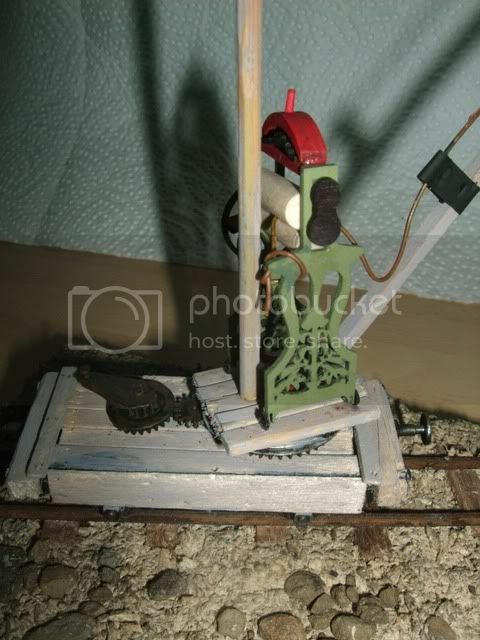 The model is scratchbuilt (apart from the wheelsets, gears and pulleys) from wood, ply, cardboard, pins, aluminium lithography plate and brass. Paint is artist's acrylics, applied by dabbing with a brush or as washes. I thought I was a rivet-counter, and I am surprised I have made this. So her name is "Nina" because of the gauge. 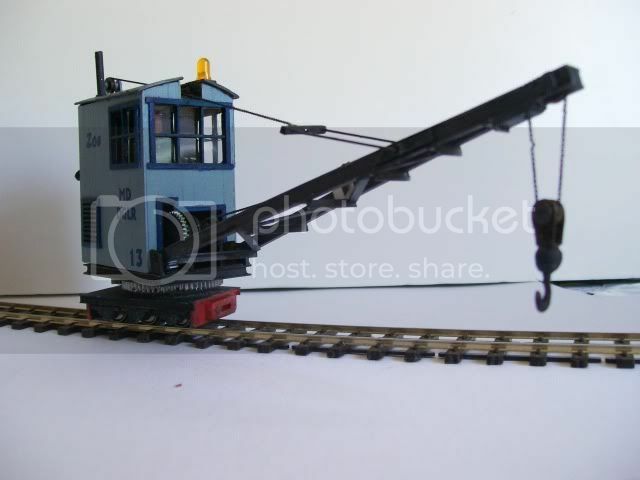 The crane came from an old german H0 crane, trucks are from Bachmann/Liliput, the rest is designed by me and lasercutted. Weathering and some minor parts are still to do. Last edited by teetrix on Mon Jul 16, 2012 6:12 pm, edited 1 time in total. Well, here goes with my entry for the Snowflake Challenge and my first GN15 model. 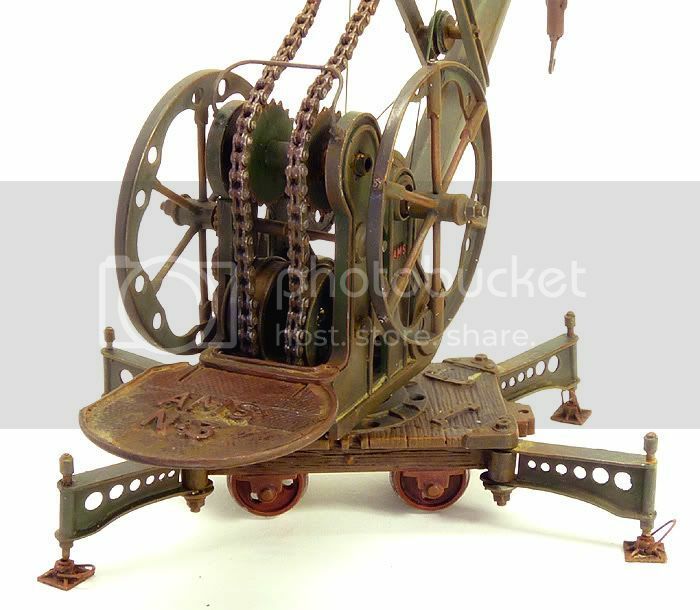 Inspiration came from the illustrations of Rowland Emett which feature a yard crane built using an old mangle. 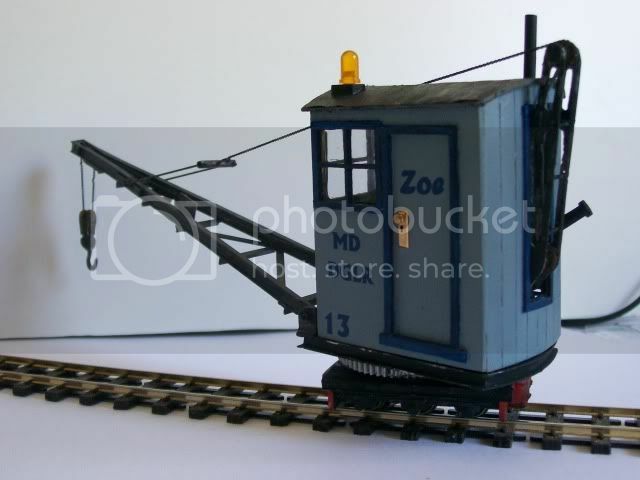 Emett's Festival of Britian railway featured one of these cranes on the platform end. 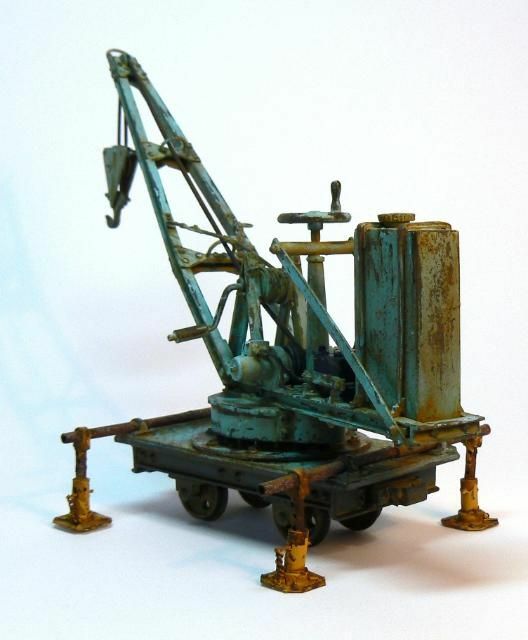 The Snowflake Challenge gave me the idea of mounting a similar crane on a wagon chassis. I’m not sure about the build quality but the Crane is finished and looks almost like I expected. I’m probably happier with the wagon than with the quality of the actual crane so first, here is a photo of the bare wagon.